Providing you the best range of duplex steel round bars, duplex steel square bars, stainless steel round bars, stainless steel square bars, stainless steel flat bars and alloy steel round bars with effective & timely delivery. NeelKamal Steels is one of the leading exporters, manufacturers and suppliers of wide range of Duplex Steel Round Bars to the customers. The raw materials that are used in making these products are of first-class quality. Duplex Steel Round Bars NeelKamal Steels is one of the leading exporters, manufacturers and suppliers of wide range of Duplex Steel Round Bars to the customers. The raw materials that are used in making these products are of first-class quality. The skilled professionals have used their sophisticated skills and topmost quality Duplex Steel Round Bars in making this product one of the leading products in the market. 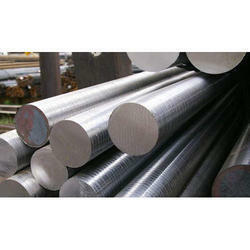 We are the best in producing the best quality Duplex Steel Round Bars to the clients. These types of Duplex Steel Round Bars are mainly used in constructions, valve, engineering, pump, and other allied industries. The wide range of Duplex Steel Round Bars that we offer to our clients is highly substantial for its well built nature, dimensional accuracy and the customers can avail the Duplex Steel Round Bars in various specifications according to their requirement. We have a wide range of C-45 Duplex Steel Round Bars present in our store which are available in different shapes, sizes according to the market demand. NeelKamal Steels is one of the leading exporters, manufacturers and suppliers of wide range of Duplex Steel Square Bars to the customers. The raw materials that are used in making these products are of first-class quality. Duplex Steel Square Bars NeelKamal Steels is one of the leading exporters, manufacturers and suppliers of wide range of Duplex Steel Square Bars to the customers. The raw materials that are used in making these products are of first-class quality. The skilled professionals have used their sophisticated skills and topmost quality Duplex Steel Square Bars in making this product one of the leading products in the market. We are the best in producing the best quality Duplex Steel Square Bars to the clients. 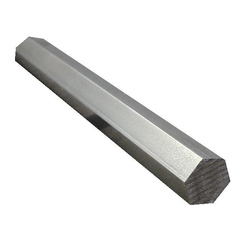 These types of Duplex Steel Square Bars are mainly used in constructions, valve, engineering, pump, and other allied industries. The wide range of Duplex Steel Square Bars that we offer to our clients is highly substantial for its well built nature, dimensional accuracy and the customers can avail the Duplex Steel Square Bars in various specifications according to their requirement. We have a wide range of C-45 Duplex Steel Square Bars present in our store which are available in different shapes, sizes according to the market demand. NeelKamal Steels is one of the leading exporters, manufacturers and suppliers of wide range of Stainless Steel Round Bars to the customers. The raw materials that are used in making these products are of first-class quality. Stainless Steel Round Bars NeelKamal Steels is one of the leading exporters, manufacturers and suppliers of wide range of Stainless Steel Round Bars to the customers. The raw materials that are used in making these products are of first-class quality. The skilled professionals have used their sophisticated skills and topmost quality Stainless Steel Round Bars in making this product one of the leading products in the market. 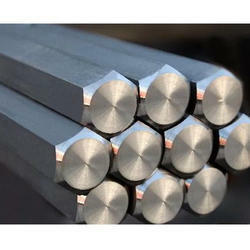 We are the best in producing the best quality Stainless Steel Round Bars to the clients. These types of Stainless Steel Round Bars are mainly used in constructions, valve, engineering, pump, and other allied industries. The wide range of Stainless Steel Round Bars that we offer to our clients is highly substantial for its well built nature, dimensional accuracy and the customers can avail the Stainless Steel Round Bars in various specifications according to their requirement. We have a wide range of C-45 Stainless Steel Round Bars present in our store which are available in different shapes, sizes according to the market demand. NeelKamal Steels is one of the leading exporters, manufacturers and suppliers of wide range of Stainless Steel Square Bars to the customers. The raw materials that are used in making these products are of first-class quality. 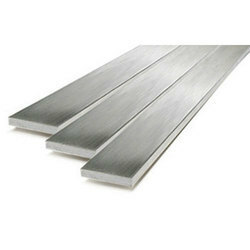 Stainless Steel Square Bars NeelKamal Steels is one of the leading exporters, manufacturers and suppliers of wide range of Stainless Steel Square Bars to the customers. The raw materials that are used in making these products are of first-class quality. The skilled professionals have used their sophisticated skills and topmost quality Stainless Steel Square Bars in making this product one of the leading products in the market. 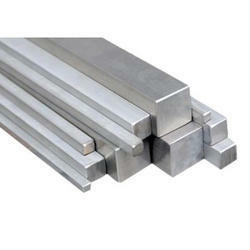 We are the best in producing the best quality Stainless Steel Square Bars to the clients. These types of Stainless Steel Square Bars are mainly used in constructions, valve, engineering, pump, and other allied industries. The wide range of Stainless Steel Square Bars that we offer to our clients is highly substantial for its well built nature, dimensional accuracy and the customers can avail the Stainless Steel Square Bars in various specifications according to their requirement. We have a wide range of C-45 Stainless Steel Square Bars present in our store which are available in different shapes, sizes according to the market demand. NeelKamal Steels is one of the leading exporters, manufacturers and suppliers of wide range of Stainless Steel Flat Bars to the customers. The raw materials that are used in making these products are of first-class quality. Stainless Steel Flat Bars NeelKamal Steels is one of the leading exporters, manufacturers and suppliers of wide range of Stainless Steel Flat Bars to the customers. The raw materials that are used in making these products are of first-class quality. The skilled professionals have used their sophisticated skills and topmost quality Stainless Steel Flat Bars in making this product one of the leading products in the market. 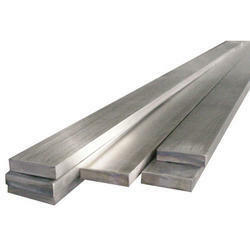 We are the best in producing the best quality Stainless Steel Flat Bars to the clients. These types of Stainless Steel Flat Bars are mainly used in constructions, valve, engineering, pump, and other allied industries. The wide range of Stainless Steel Flat Bars that we offer to our clients is highly substantial for its well built nature, dimensional accuracy and the customers can avail the Stainless Steel Flat Bars in various specifications according to their requirement. We have a wide range of C-45 Stainless Steel Flat Bars present in our store which are available in different shapes, sizes according to the market demand. NeelKamal Steels is one of the leading exporters, manufacturers and suppliers of wide range of Alloy Steel Round Bars to the customers. The raw materials that are used in making these products are of first-class quality. Alloy Steel Round Bars NeelKamal Steels is one of the leading exporters, manufacturers and suppliers of wide range of Alloy Steel Round Bars to the customers. The raw materials that are used in making these products are of first-class quality. The skilled professionals have used their sophisticated skills and topmost quality Alloy Steel Round Bars in making this product one of the leading products in the market. We are the best in producing the best quality Alloy Steel Round Bars to the clients. 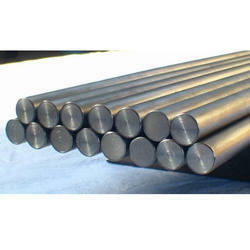 These types of Alloy Steel Round Bars are mainly used in constructions, valve, engineering, pump, and other allied industries. The wide range of Alloy Steel Round Bars that we offer to our clients is highly substantial for its well built nature, dimensional accuracy and the customers can avail the Alloy Steel Round Bars in various specifications according to their requirement. We have a wide range of C-45 Alloy Steel Round Bars present in our store which are available in different shapes, sizes according to the market demand. NeelKamal Steels is one of the leading exporters, manufacturers and suppliers of wide range of Duplex Steel Hex Bars to the customers. The raw materials that are used in making these products are of first-class quality. Duplex Steel Hex Bars NeelKamal Steels is one of the leading exporters, manufacturers and suppliers of wide range of Duplex Steel Hex Bars to the customers. The raw materials that are used in making these products are of first-class quality. The skilled professionals have used their sophisticated skills and topmost quality Duplex Steel Hex Bars in making this product one of the leading products in the market. 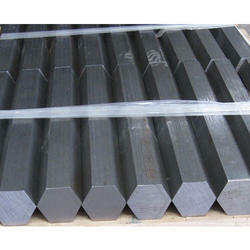 We are the best in producing the best quality Duplex Steel Hex Bars to the clients. These types of Duplex Steel Hex Bars are mainly used in constructions, valve, engineering, pump, and other allied industries. The wide range of Duplex Steel Hex Bars that we offer to our clients is highly substantial for its well built nature, dimensional accuracy and the customers can avail the Duplex Steel Hex Bars in various specifications according to their requirement. We have a wide range of C-45 Duplex Steel Hex Bars present in our store which are available in different shapes, sizes according to the market demand. NeelKamal Steels is one of the leading exporters, manufacturers and suppliers of wide range of Nickel Alloys Hex Bars to the customers. The raw materials that are used in making these products are of first-class quality. Nickel Alloys Hex Bars NeelKamal Steels is one of the leading exporters, manufacturers and suppliers of wide range of Nickel Alloys Hex Bars to the customers. The raw materials that are used in making these products are of first-class quality. The skilled professionals have used their sophisticated skills and topmost quality Nickel Alloys Hex Bars in making this product one of the leading products in the market. We are the best in producing the best quality Nickel Alloys Hex Bars to the clients. These types of Nickel Alloys Hex Bars are mainly used in constructions, valve, engineering, pump, and other allied industries. The wide range of Nickel Alloys Hex Bars that we offer to our clients is highly substantial for its well built nature, dimensional accuracy and the customers can avail the Nickel Alloys Hex Bars in various specifications according to their requirement. We have a wide range of C-45 Nickel Alloys Hex Bars present in our store which are available in different shapes, sizes according to the market demand. NeelKamal Steels is one of the leading exporters, manufacturers and suppliers of wide range of Stainless Steel Hex Bars to the customers. The raw materials that are used in making these products are of first-class quality. Stainless Steel Hex Bars NeelKamal Steels is one of the leading exporters, manufacturers and suppliers of wide range of Stainless Steel Hex Bars to the customers. The raw materials that are used in making these products are of first-class quality. The skilled professionals have used their sophisticated skills and topmost quality Stainless Steel Hex Bars in making this product one of the leading products in the market. 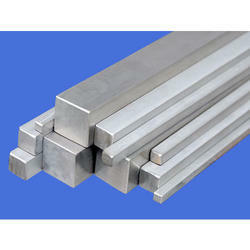 We are the best in producing the best quality Stainless Steel Hex Bars to the clients. These types of Stainless Steel Hex Bars are mainly used in constructions, valve, engineering, pump, and other allied industries. The wide range of Stainless Steel Hex Bars that we offer to our clients is highly substantial for its well built nature, dimensional accuracy and the customers can avail the Stainless Steel Hex Bars in various specifications according to their requirement. We have a wide range of C-45 Stainless Steel Hex Bars present in our store which are available in different shapes, sizes according to the market demand. NeelKamal Steels is one of the leading exporters, manufacturers and suppliers of wide range of Duplex Steel Flat Bars to the customers. The raw materials that are used in making these products are of first-class quality. Duplex Steel Flat Bars NeelKamal Steels is one of the leading exporters, manufacturers and suppliers of wide range of Duplex Steel Flat Bars to the customers. The raw materials that are used in making these products are of first-class quality. The skilled professionals have used their sophisticated skills and topmost quality Duplex Steel Flat Bars in making this product one of the leading products in the market. 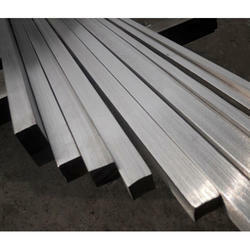 We are the best in producing the best quality Duplex Steel Flat Bars to the clients. These types of Duplex Steel Flat Bars are mainly used in constructions, valve, engineering, pump, and other allied industries. The wide range of Duplex Steel Flat Bars that we offer to our clients is highly substantial for its well built nature, dimensional accuracy and the customers can avail the Duplex Steel Flat Bars in various specifications according to their requirement. We have a wide range of C-45 Duplex Steel Flat Bars present in our store which are available in different shapes, sizes according to the market demand. NeelKamal Steels is one of the leading exporters, manufacturers and suppliers of wide range of Nickel Alloys Round Bars to the customers. The raw materials that are used in making these products are of first-class quality.The skilled professionals have used their sophisticated skills and topmost quality Nickel Alloys Round Bars in making this product one of the leading products in the market. We are the best in producing the best quality Nickel Alloys Round Bars to the clients. These types of Nickel Alloys Round Bars are mainly used in constructions, valve, engineering, pump, and other allied industries. 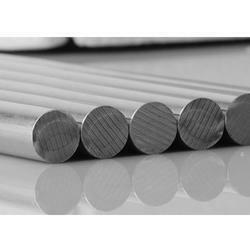 The wide range of Nickel Alloys Round Bars that we offer to our clients is highly substantial for its well built nature, dimensional accuracy and the customers can avail the Nickel Alloys Round Bars in various specifications according to their requirement. We have a wide range of C-45 Nickel Alloys Round Bars present in our store which are available in different shapes, sizes according to the market demand. NeelKamal Steels is one of the leading exporters, manufacturers and suppliers of wide range of Nickel Alloys Square Bars to the customers. The raw materials that are used in making these products are of first-class quality. Nickel Alloys Square Bars NeelKamal Steels is one of the leading exporters, manufacturers and suppliers of wide range of Nickel Alloys Square Bars to the customers. The raw materials that are used in making these products are of first-class quality. The skilled professionals have used their sophisticated skills and topmost quality Nickel Alloys Square Bars in making this product one of the leading products in the market. We are the best in producing the best quality Nickel Alloys Square Bars to the clients. These types of Nickel Alloys Square Bars are mainly used in constructions, valve, engineering, pump, and other allied industries. The wide range of Nickel Alloys Square Bars that we offer to our clients is highly substantial for its well built nature, dimensional accuracy and the customers can avail the Nickel Alloys Square Bars in various specifications according to their requirement. We have a wide range of C-45 Nickel Alloys Square Bars present in our store which are available in different shapes, sizes according to the market demand.